Fly changes are sometimes one of the more challenging movements we teach our horses. Changes often create some anxiety and can disrupt the lovely canter we worked so hard to develop—but that’s ok! 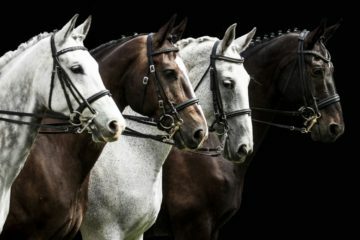 There are ways to improve relaxation and balance in these flying changes, which help horses settle and become more confident in their ability to do them. Once again, take this training out of the ring every now and then and you’ll be surprised what happens. Begin by finding a nice place in a field—if there is a slight incline that’s perfect. 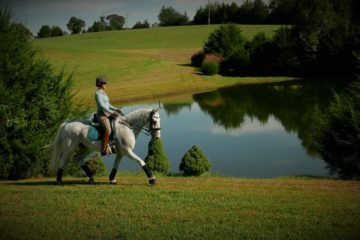 Start in the canter and develop a nice, relaxed working canter. Be able to put your leg on, deepen your seat aid, and then sit quietly for a few strides. The goal is that rider creates some energy and then the horse maintains the energy on their own for a few strides. Develop a 20-meter circle; again a change of grade is perfect here. 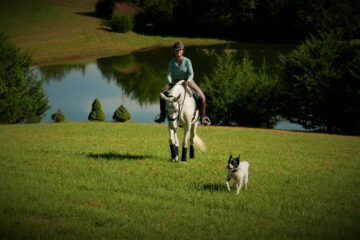 Then, start with some changes of direction through the walk: canter, walk, change direction, and canter on the new lead. Do this a few times on varied grades, up and down. When you are ready and your horse is listening to your right and left aids, ride a single flying change to change direction on your circle. Plan to ride your flying change on that slight incline in the field. Make sure when you ask for the change you stay in a straight line, then establish the new bend after the change of direction, and find your circle: circle, straighten, flying change, circle in the new direction. 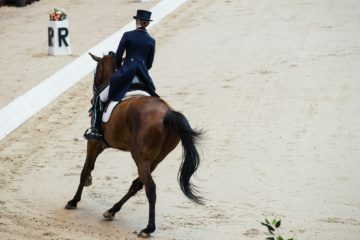 Riding the flying change on a slight incline helps teach the horse to push from behind, sit in the flying change instead of launching, and helps the rider deepen their seat when they apply the aid for the flying change. 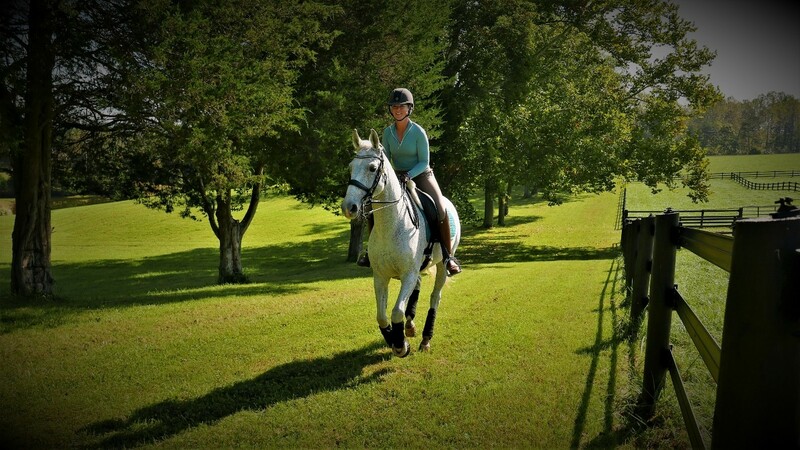 Remember to take a lot of breaks as this type of hill work is hard work for our horses—and much more challenging than a flying change on a level surface. Riders should stay very clear in their aids: inside leg at the girth, outside leg back, and seat bones plugged straight down in the tack. Keep your hips and elbows loose to encourage relaxation for you both. Have fun!